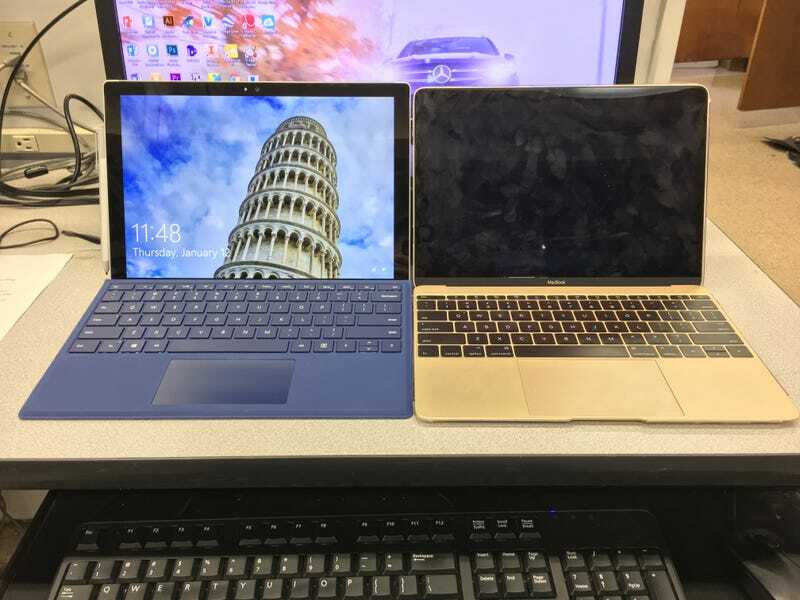 - The Surface Pro 4 with Type Cover does feel slightly heftier than the MacBook. - The MacBook does feel surprisingly snappy even with a Core M processor (at least for basic tasks, like web browsing). - The butterfly keys on the MacBook are atrocious compared to the ones on the MacBook Pro (which I find bearable). - I like having a touchscreen on my Surface, which costs the same price, along with an i5 processor.